Going into the 2018 midterm elections, Democrats have this theory of the race: Voters care about "pocketbook issues" and are looking at promises that President Trump and Republicans made in 2016 but haven't delivered on -- like the rising costs of prescription drugs and healthcare. Facing a challenging political map that requires Democrats to defend 26 Senate seats, Sen. Chris Van Hollen, D-Md., the Democratic Senatorial Campaign Committee chairman, is hoping that healthcare will be a winning message for the party this fall. Some in the party are promoting a single-payer, Medicare-for-all heathcare system, but Van Hollen seemed to suggest that it's a proposal that may be too narrow for the midterms. 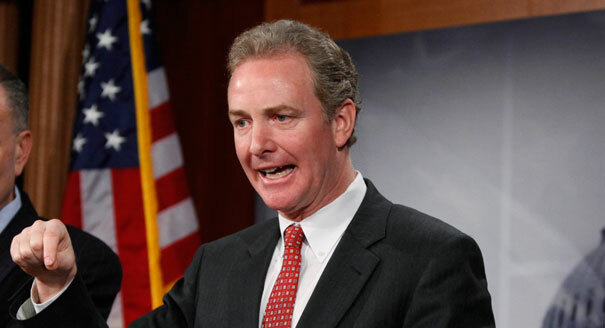 Van Hollen attempted to minimize any divisions within the party over whether to support single-payer or to expand existing Affordable Care Act (ACA) provisions, saying that while there is "a very broad spectrum of views" within the caucus, Democrats are unified on the need to make prescription drugs more affordable and to stop Medicare and Medicaid cuts. Will there be a Democratic wave in the midterm elections? The DSCC chairman also said that Senate Democrats would "welcome support" from former Secretary of State Hillary Clinton and former Presidents Bill Clinton and Barack Obama in the 2018 midterm elections. Although he noted that the DSCC does not make those decisions and that it's up to the individual campaigns to decide who they want involved, Van Hollen said, "As the head of the DSCC, we welcome those individuals and everybody who wants to help." In the past couple of weeks, Hillary Clinton has been stepping up her involvement in the 2018 midterms – she spoke at the DNC Women's Leadership Forum, and she endorsed New York Gov. Andrew Cuomo and Stacey Abrams, who secured the Democratic gubernatorial nomination in Georgia earlier this week.